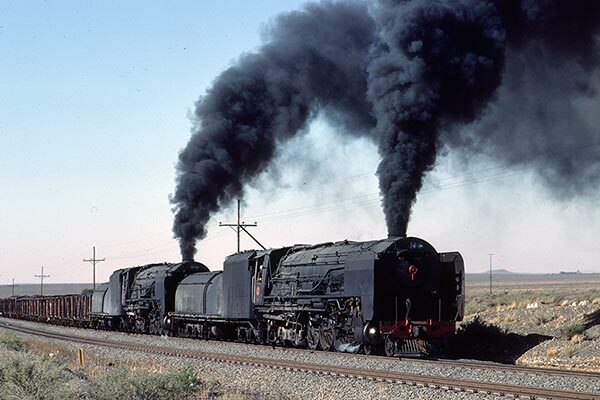 Caption - South African Railways (SAR) class 25 4-8-4's 3477 and 3512 double head a southbound block coal train on the mainline between Kimberley and De Aar near Potfontein in May 1982. The regular double headed coal trains were always a great sight with both locos working hard. What a sight!